Another popular day trip from Nice, France is a visit to the fortified village of Saint Paul de Vence. If you like history and art, Saint Paul de Vence should be on your list to visit when in Nice. It’s a charming medieval city perched on a mountainside overlooking the Mediterranean Sea. Spend an hour walking the narrow streets and exploring hundreds of years of military & religious structures. Wander in and out of the art galleries and possibly stop for lunch in one of the many restaurants. I can definitely see why this is a top tourist destination. Consider spending a couple of hours here to immerse yourself in the history and impressive art scene even if you’re only in Nice for a few days. Saint Paul turned out to be my Mom’s favorite village. She even started looking at real estate to potentially purchase a 2nd home. The downside is you spend as much time on the bus as you do in the village. An option to extend your day is to hop back on the bus and visit Vence. My kids were tired, so we skipped our plan to continue on and just returned to Nice. Watch the video below to get a glimpse of the village. It’s a little shaky, but should give you an idea of the history of Saint Paul de Vence. Take bus 400 from Nice center. It’s approximately an hour ride for 1.50€ per person. You’ll want to purchase your tickets on the bus, not at the tram station. This is a different bus line than the Côte d’Azur line used for traveling in and around Nice. Summer is obviously the busiest time to visit. We traveled in March and were able to tour the village without walking arm to arm with strangers down the narrow streets. All the shops and art galleries were open as were most of the restaurants. 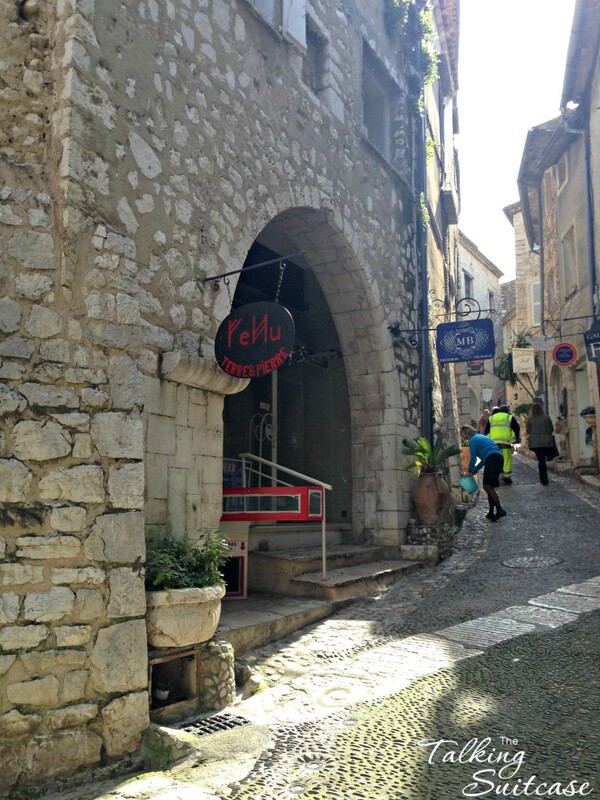 Have you been to St Paul de Vence? You might also like the lovely village of Eze.